With its great beaches, beautiful people, and vibrant South American culture, Brazil is a great country to visit with travellers flocking to take in the festivals, sites and the beach culture that it’s famous for. The 2016 Olympics highlighted both the pros and cons of travelling to Brazil. Although it’s wise to take precautions, don’t let that faze you. Brazil is still a spectacular country worth visiting. Visit the FCO website before you travel to get the latest safety and security information www.gov.uk/travelaware. Here is a quick guide to help you have a safe trip to Brazil. Follow these 8 safety tips so that your trip stays amazing. When visiting crowded areas, don’t carry valuables and don’t wear showy, or expensive jewellery. Pickpockets operate in high-density areas like Brasilia, Sao Paulo, and Rio de Janeiro. Crimes are especially prevalent near hotels and on busy public transport. Dress like a local, so that you blend in. Keep your clothes simple to avoid standing out. Keep your jewellery, phone and camera out of sight. Only carry the cash that you need for the day. Keep that hidden inside your clothes or inside a hidden pocket. Better still, where a money belt that should be kept hidden and not worn externally. If you are a victim of crime, report it to the tourist police right away. Many tourist areas have police officers on-duty called the Policia de Turismo. Ask your hotel concierge if the streets are safe to walk in, and what areas to avoid. Side streets are not very safe to explore, day and night, especially in downtown areas. Use ATM machines only inside banks and shopping malls, where there is a security guard manning the entrance. There have been a lot of reports on “express crimes” in Brazil, where victims are abducted for a short time and forced to withdraw all their money from their ATM account. Invest a little and stay in well-known and reputable accommodation in Rio de Janeiro. If you stay in an inexpensive hostel, or apartment, it is more likely to be located in a higher risk area and the staff may not be so able to help foreign guests. Stay vigilant, keep your wits about you and exercise caution at all times. It’s good to have a safety/exit plan in place wherever you go. 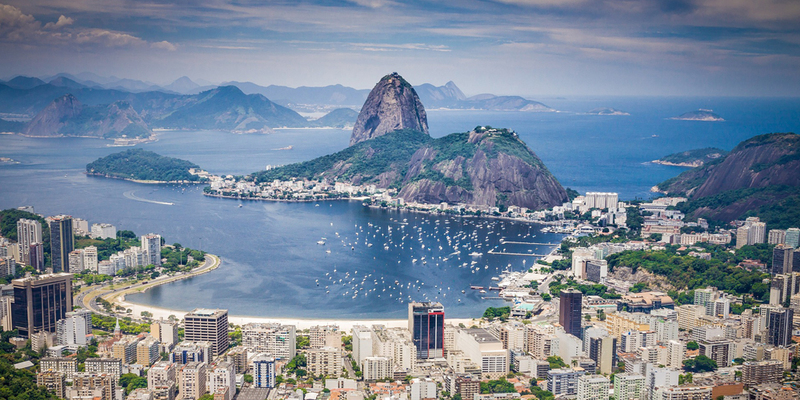 Don’t let fear of travelling to Brazil get in the way of your holiday. Do your research, use information available, like www.gov.uk/travelaware and plan in advance. Stay protected while travelling abroad and get travel insurance. The best travel insurance includes cover for lost baggage, money, passports, and other documents and emergency medical and repatriation cover. Get organised, stay safe and enjoy your travels.